If the Administrator(s) don't mind, could I use this space to address my on going questions in relation to my 'Alternative ADF ORBAT', instead of generating a new topic each time? 1/ I've just finished reading that Ed Heinemann wanted to use the Rolls Royce Avon turbojet instead of the Wright J65 turbojet (itself a development of the Armstrong Siddeley Sapphire turbojet). So I'm hoping to get feedback as to how difficult it might have been to incorporate the Rolls Royce Avon into the Douglas A-4 Skyhawk for use by the RAAF and RAN? So my question is this, if I was to use the Majestic class carrier (HMAS Melbourne) in a 'swing role' - lets say in an offensive strike mission, what does the forum think would be the minimum ASW assets - Gannet/Wessex or Tracker/Sea King I would need aboard to facilitate a self-protection ASW capability aboard to protect the carrier? Does the forum think that the Gannet could have realistically been upgraded to remain operationally effective in the ASW/ASV role? (Please note, keeping in mind that what ever design (Gannet/Tracker/Alize), its paramount that a AEW variant has to come of it! Looking forward to your views and feedback! Very interesting attachment, particularly the line that the A-7 was believed, with minor modifications, to be able to operate from a modernised majestic. I recall reading somewhere that the RN did a study comparing a Skyhawk Group to a Phantom / Buccaneer Group on Hermes with the Skyhawk delivering more capability and lower cost through 30-35 airframes verses a total of about (I believe fewer) 20 Phantoms and Buccs. The fact that the seeming perpetual want and need of larger, heavier, costlier options (trends) negated the likes of the Scooter is sad! 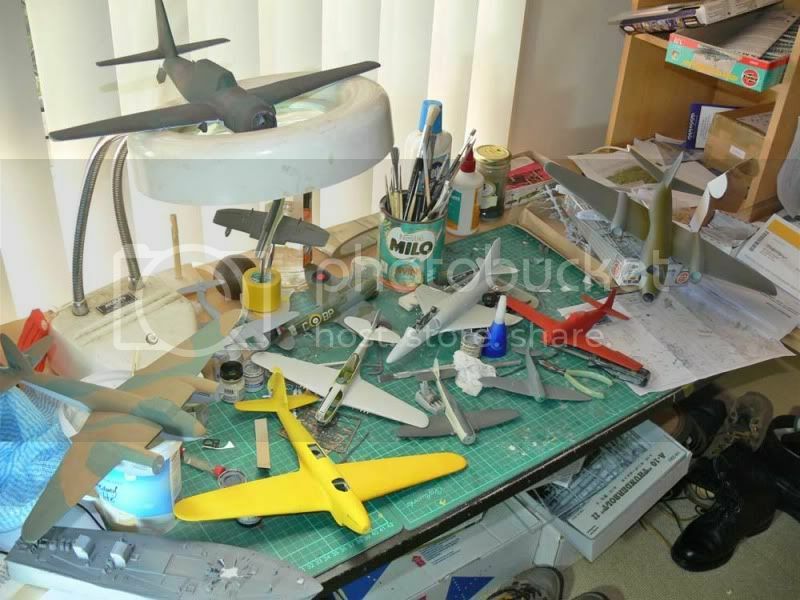 It's not hard to imagine Hermes soldiering on longer with a complement of Skyhawk's as its principle aircraft. Especially if you look at the NZ, Singaporean and Israeli upgrades to the type. The RAAF didn't opt for an Avon powered Mirage III (despite the fact that Dassault would have borne most of the costs for the modifications) because the costs were too prohibitive - one was built. The same would probably apply to the Sh!tduck Scooter. The Tracker was too much of an advance - it had MAD technology (the boom), a much better radar, more sono-buoy capacity, over double the combat load & almost twice the loiter time - & was not that much bigger than either the Gannet or the Alizé (especially length-wise) when folded up. Their biggest difference was height but they still fit in Melbourne's hangar. G'day gents, and a Happy New Year to you and your families!! 1/ I have only ever seen, and am made to believe that the Dassault Mirage III was only equipped to carry and launch a single Matra R.530 (semi active radar homing variant) AAM on its fuselage centreline hardpoint. So is there any 'physical' reason why the Mirage III couldn't be configured during manufacturing (or retrofitted/updated regards to wiring) a R.530 AAM under each main wing hardpoint (in place of wing-mounted drop tank)? Being mounted on the 'main-wing hardpoint (which a capacity within the scope of the R.530's 143 kg (315 lb) weight), with pylon, does the Mirage III have the ground clearance to carry the R.530 in this manner? Also, so as to compensate for the loss of the two wing-mounted drop tanks to facilitating of the two R.530's, did Dassault offer a larger capacity centreline drop tank for the Mirage III series in the 1960's? Ive read somewhere that that Mirage IIIE could carry a 1300 L drop tank (with 1038kg of fuel for 199 nm of range), a 1700 L drop tank (with 1358 kg of fuel for 260 nm of range), but this information is from one of my hard drives, without a reference, as to where I obtained these figures, just as I'm not sure if the these 1300 L and or 1700 L drop tank are in relation to the centreline hardpoint? 2/ Does anyone have any knowledge of the ground clearance of the Saab A32 Lansen from ground to wing pylons? As to, the ground clearance of the Mirage IIIE from ground to wing pylons, as well as centreline hardpoint, as Im trying to ascertain as to whether it is permissible to fit the Swedish RB-04 air-to-ground missiles under/on the centreline hardpoint of the two-seat Mirage IIID? Also, saying this, does anyone have any suggestions as to how I might be able to allow the same Mirage IIID to carry and operate PS-431/A radar, which the Saab A32 Lansen uses in coordination with the RB-04 missile? Do you think that the PS-431/A radar could be mounted in an under fuselage radome like the Saab A32 Lansen, or I was thinking of perhaps a modified bulbous nosed-type drop tank arrangement, something like the long-range drop tanks used by the Mirage 2000N, so as to house the radar? Your suggestions and feedback would be greatly appreciated! According to the RAAF Mirage Flight Manual (page 1-26), the largest tank that could be carried on the centre-line was the 286 Gal (1300L) tank - the 374 Gal (BIG Jugs - 1700L) were only for the wing points. These tanks are all jettisonable. The IIID could only carry a 242 Gal tank on the centre-line - because of clearance with the forward landing gear. - so I don't see why R530's would have ground clearance issues with your proposal. Thank you kindly ScranJ51, your assistance is both appreciative and encouraging! I'm also happy to see those two 1,700 L (374 Gal) drop tank on an RAAF Mirage III, thanks mate! You wouldn't know the diameter of those 1,700 L (374 Gal) would you? Just confirming - the picture of A3-55 the aircraft is carrying 286 Gal/1300L tanks - NOT Big Jugs. I think in my 16 years or so associated with Mirages I saw 374 Gal tanks maybe 4 times. No pics I can find, and no idea as to diameter etc. 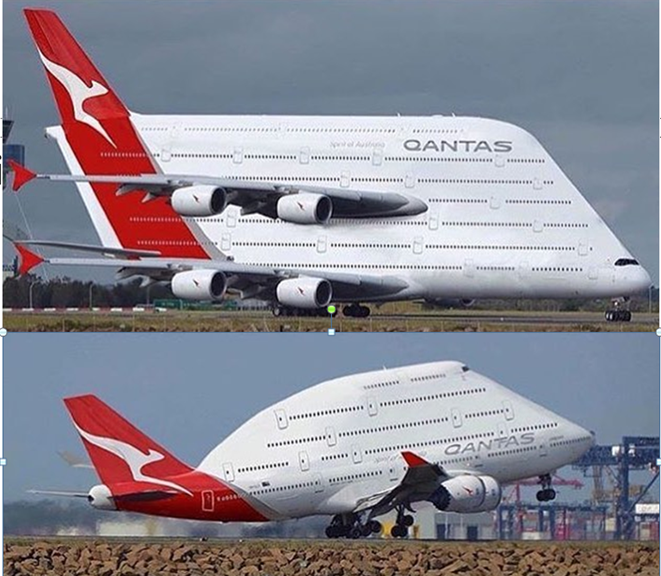 The Flight Manual is very informative about Big Jugs - they are only for ferry reasons and there are major limitations placed on the aircraft when carrying them - including speed, aileron input rate/rate of roll, C of G issues etc. Basically - I doubt if there is any practical application available to you unless in ferry configuration. And yes - I think your configuration - AIM-9s outboard, R-530 on the wings and a 286 Gal on the centre-line is feasible. I wonder if the limitation to one R.530 was more about operational restrictions than purely weight/space. Specifically, was the SARH guidance combined with missile range, aircraft speed and Thomson-CSF Cyrano II radar capability effectively limiting the use to one SARH missile shot per engagement? The aircraft would presumably be coming in a max speed, have a missile capable of up to 20km range (at best), a radar at best giving 50km range but only able to guide a single missile. By the time the first missile finished its engagement the aircraft would probably have been too close for another shot and would have to go to WVR weapons (IR short range missiles and guns). The only other option I can see for more than 1 R.530 would be if the IR version was used (and I don't believe the RAAF had those) was used though I understand it was very much a rear aspect (i.e. tail chaser) missile. In such a situation one might expect a Mirage III to carry one of each type and use them a bit like the Soviets used their missiles on interceptors. Overall though I think it would be a retrograde step given the performance of the R.530. That would make sense to me, Greg. I've read opinions from the French, Israeli, Spanish, and Argentinian pilots that all felt that the best place for an R.530 was on the ground in the box that it was shipped in. Why limit the weapon to the SARH version when there was an IRH version also available? At least then with both versions strapped on you have the initial shot using the SARH R.530 and follow up shot with the IRH R.530. Theoretically, I know of no reason you couldn't modify a Mirage III to carry an R.530 on each pylon if you were so inclined, and having one SARH and one IRH might be a pretty good solution to some problems. Practically, however, the missile was terrible in all its forms. Despite having over a thousand exported to the various Mirage III and Mirage F1 users over about 20 years, I know of only 3-4 confirmed kills with the missile. And, unlike something like the Firestreak or Red Top, it wasn't due to lack of opportunity. The Mirage III and F1 users saw plenty of combat from the 1960s to the 1990s. Its just that the operators opted not to use the darn thing. You were better flying with nothing on the pylon at all than bringing it along. As far as air-to-air goes, all accounts I've read seem to point to guns and either Sidewinders or Magics being the way to go. I don't want to be too hard on the R.530, though. 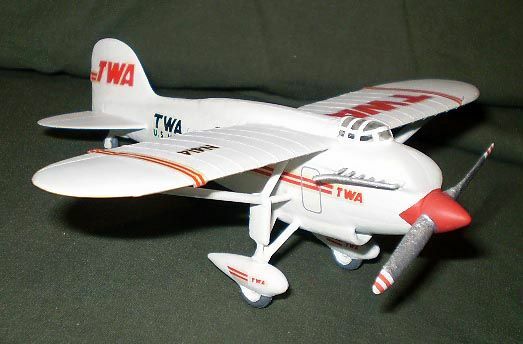 Up until the 70s, the Sidewinder was one of the few AAMs worth its weight. Designers largely recognized this. Most early AAMs were designed against the bomber threat, which really never materialized, thankfully. As long as your target was something like a Tu-16, M-4, or Tu-95, then you were probably fine. If it was smaller or nimbler, then forget it. Heck, one of the few R.530 kills was against a Canberra, which was much more the intended recipient. In this scenario, they'd probably work against Indonesian Tu-16s, but that's about it. Thank you gents, your feedback and knowledge is most helpful! Logan my friend, you are right on the money, as far as my scenario goes - Indonesian Tu-16's and latter Tu-22 Blinder's as a response to Australia's more proactive stance against open Indonesian aggression! So, anyone got any thoughts on my Mirage IIIOD and the housing of PS-431/A radar? Another option might be to follow the mention in "The RAAF Mirage Story" by WGCDR Susans. This stated that the Swiss were well advanced in studying/developing a TARAN-18 and [AIM-7] Sparrow combination for the Mirage III. This may be a typo with AIM-7 meant to be AIM-4 Falcon though. Max nominal range was 18km (probably considerably less in a frontal aspect due to both launcher and target closing rapidly). I have also read that it was often less than this and also suffered problems in conjunction with the Mirage III's Cyrano radar with loss of lock often occurring. The SARH version entered service in 1962/63 whilst the IR version was in the early 1970's. Unless one was going for the Soviet style ripple fire of a IR and SARH version, I doubt there would be much benefit in carrying more than 1 missile. Given the range and engagement parameters mentioned earlier, I think the chance of a second shot would be negligible. In fact, it would probably degrade one's overall capability since space/weight dedicated to the R.530 could be better utilised by smaller WVR missiles useful following the merge - i.e. the R.530 weighed close to 200kg whereas smaller WVR missiles such as the R.550 Magic or AIM-9 are around 90kg. 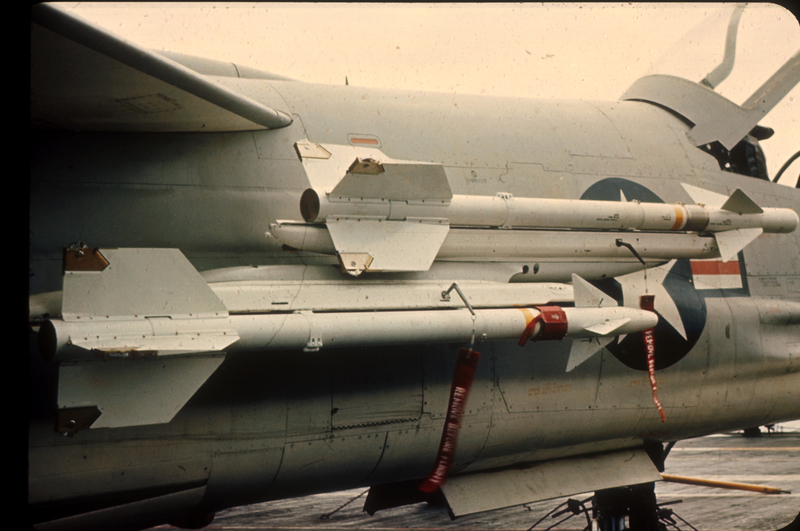 Therefore one could generally put two WVR missiles instead of the one R.530. Much more useful. The only advantage really of the R.530 (and why one was carried) beyond a pure bomber intercept role, would be to get in the first shot in an engagement and make the other bugger go onto the defensive. You might not really expect a kill from it but if you make the other guy get distracted, it gives you a good chance of getting him with your second shot whilst also providing a reason for him not to shoot at you. P.S. as for your latest reply, very interesting, and relevant. In fact, I might incorporate a similar finding by the RAAF in my backstory and/or this finding might give impetus for the RAAF pushing for the fitting of Aim-7 Sparrow's to it's Mirage III fleet......now what's the name/designation of the of that bloody illuminator needed in conjunction with Sparrow, and how will I incorporate it into the tiny Mirage III airframe? now what's the name/designation of the of that bloody illuminator needed in conjunction with Sparrow, and how will I incorporate it into the tiny Mirage III airframe? The AN/APA-128 or AN/APA-157 or similar? Just a thought, but how about incorporating the AIM-9C seeker (or improved versions thereof) onto later model Sidewinder airframes (or R550 airframes)? It was a SARH version of the Sidewinder designed specifically to add capability to the F-8. That said, I suspect the similar engagement parameters would still come into play. Wow, never heard of this hybrid Aim-9 HAP before Greg I like the concept, but could you give me a better insight into it's timeframe of R&D please? I can't seem to find much on the program Was it a seriously considered weapons program and for which service - USAF or USN? Or was it simply an R&D thing? Thanks for your input mate! OK, after receiving your enlightening feed back, I've done a little further research re the notion of a 'mixed' IR and radar (Aim-9C) guided Sidewinder AAM armament for my Alternative ADF ORBAT Mirage III's, as possibly the lightest, simplist and most cost effective armament arrangement for killing bombers. Now this is interesting, because I was strongly favouring the idea/notion of equipping my RAN carrier's with a similar mixed IR and radar-guided Sidewinder AAM armed Vought-Chance V-384! But neither the V-383 (F8U Crusader) not the V-384 had a Doppler radar fitted. So as much as its obvious that Mirage IIIO(A) had a Doppler fitted, which I hope elevates the issue and effectiveness of the Aim-9C/Mirage IIIO combination for the RAAF; does the forum think the V-384 (or for that matter, it's larger brethren, the F8U Crusader) could accommodate a Doppler radar to fix the Aim-9C/V-384 short coming issue? I fully appreciate that the V-383 and even more so the smaller V-384 limited space for such a request. I suspect the biggest concern is the difference in the size of the electronics boxes required and the necessary cabling connecting them (this being well before MIL-STD-1553 databuses). I don't see any real restriction, though you may need to change out the radar to something suitable. I can't help but wonder if the need for Doppler processing is on the missile side rather than the aircraft side? In that case, you might need a longer missile body to fit the added processing capability. Thank you elmayerle, what you point out sounds valid! So does anyone know what, if anything this space assigned to the 'rarely if ever used rocket pack' used for? Was this empty rocket pack space utilised for additional fuel or avionics/electronics in later variants of the Crusader? If not, I'm wondering if a Doppler radar and it's associated avionics could utilise this space? Do you reckon this might work? Or going to this degree of effort and cost, I'm wonder if it would just be as simple as introducing the Aim-7 Sparrow and it's associated avionics/systems into the V-384 during production? This was from 1970 and comprised a Sidewinder with a Sparrow rocket motor. HAP stands for High Altitude Project and it was supposedly created as a response to the use of high-altitude scouts MiG-25 over Israel. I was strongly favouring the idea/notion of equipping my RAN carrier's with a similar mixed IR and radar-guided Sidewinder AAM armed Vought-Chance V-384! But neither the V-383 (F8U Crusader) not the V-384 had a Doppler radar fitted. Upper missile is an AIM-9C. It was subsequently withdrawn reportedly because its envelope was too restricted and it wasn't very reliable. I'm sorry Greg, I acknowledge your confusion. "It was subsequently withdrawn reportedly because its envelope was too restricted and it wasn't very reliable." This reliability/restriction issue of the Aim-9C was seemingly due to the confusion of the seeker in relation to ground clutter at lower altitude - which one would assume would be the principle course enemy bombers would take in attacking a carrier battle group. Hence my question in relation to the installation of a Doppler radar, so as to remedy this problem, and give the RAN V-384 a lookdown - shotdown capability, with the Aim-9C. I actually suspect the problem with the radar was not so much about it being 'doppler' or not but rather other problems. I am still researching this but if you have a read of the section on AIM-9C (also called SARAH) here, you will get a feel for what I am referring. which one would assume would be the principle course enemy bombers would take in attacking a carrier battle group. Depending upon the era you are talking about, you would not necessarily expect this to be the case. In fact, for much of the 1960s and even into the '70s and beyond, one could just as much expect an attack on CBGs to come from high altitude using stand-off missiles. Again, I think this will be dependent upon the era you are talking about. Honestly, until the introduction of the F-15 I doubt you will find any weapon systems with an effective look down - shoot down capability, and even then I have read stories of the F-15's radar having issues. Interested in your Aim-9C research mate! It Murphy's Law, that the link you've given finishes where it's does. Might be worth my while following this book up. Some good and valid points Greg! have the best opportunity of survival in a hostile environment!! Might be worth my while following this book up. Ok, I did some more research (including purchasing the book in question and reading the section on AIM-9C right away). Quite interesting in that it speaks highly of the AIM-9C development. There is no real talk of poor performance in regard to the radar - in fact, the author (and the guys at the time) speak quite highly of the F8U-2NE Crusader's Magnavox AN/APQ-94 whereas they were far from impressed with the Westinghouse AN/APQ-72 in the F-4Bs at the same time. 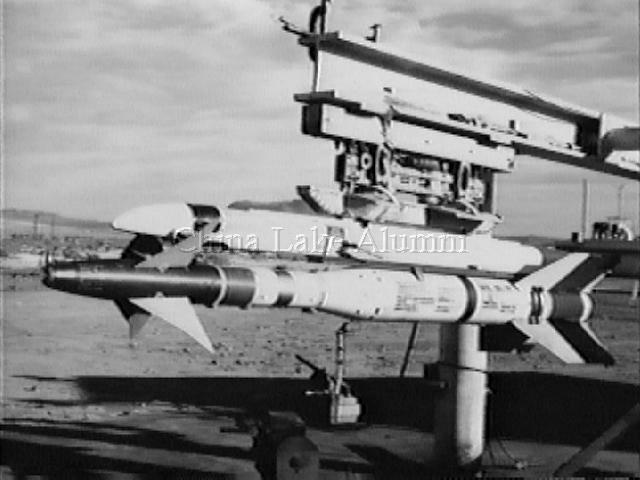 The basic summation was that the F-8/APQ-94/AIM-9C combination worked quite well (for its day) and that the only reason the AIM-9C was eventually withdrawn was that the F-8 was also being withdrawn. They did say that pilots were at first sceptical of the AIM-9C's SARH guidance and the fact that they would be able to use it as an all aspect weapon (i.e. no longer be forced to only fire in a tail chase scenario, which was typical of the IR guided AIM-9B/D) but that this was overcome once they saw it operate. I wonder if this doubt is still part of the lingering misinformation about the weapon? I also suspect that the limited production numbers were still tied to my previous comments about minimal use of such weapons due to engagement parameters, including the fact that the IR guided versions were fire&forget whereas the SARH version required the pilot to keep pointing towards the target? Either way, I think the AIM-9C is still a useful weapon (for its day) and there is certainly no mention of doppler radar, or lack thereof, issues. That said, the system was certainly not 'look down-shoot down). In fact, no-one had this capability operationally until the F-4J/Westinghouse AN/AWG-10 combination in the late 1960's/early 1970's ( I was wrong with the F-15 comment earlier). Therefore, I wouldn't really hold this against the F-8/AIM-9C. That said, giving the Mirage with its Cyrano II radar the AIM-9C may have issues. For one, there would need to be some compatibility matching though this is not impossible to overcome - after all, the Cyrano was able to guide R.530s which were also used on Aéronavale F-8E(FN)s. One issue might be the dish diameter (this was something mentioned in the Sidewinder book) with the Cyrano II having a dish of 36cm whereas the AN/APQ-94 was of 53.3cm (21"). One option might be to try to give the Mirage III the AN/APQ-94 and possibly result in a 'big nose' Mirage (the "Cyrano de Bergerac" version?). The Marconi continuous-wave doppler radar fitted to the RAAF Mirage IIIs was only a navigation radar (in addition to the normal Thompson-CSF Cyrano II radar in the nose). It had no weapon related capability what-so-ever. Wow, thanks Greg, some good info there mate, and it looks like you scored a good book - it's so difficult to find anything significant on the Aim-9C. "During the period March to May 1971, RAAC officers visited the United States of America, Canada, the United Kingdom, France, Belgium and the Federal Republic of Germany to review developments in armoured vehicles. Main Battle Tanks (MBTs) that were reviewed by the group included M60A1 (USA), Chieftain and Vickers (UK), AMX 30 (France) and Leopard (Federal Republic of Germany). The review of these armoured vehicles was the first step in the programme to investigate the replacement of the Centurion as the Australian Army's Main Battle Tank." Now in truth and reality I have no problems with (and support) the 'real-world' selection of the Leopard 1A3, as I've worked with the Leopard 1AS over many years in my time in the Australian Army. But I'd like to find more information if I could, with your support of knowledge and recourse please. Does anyone have any further/more informative information on the reviews/eveluations of the likes of the Chieftain, Vickers and AMX-30 by the Australian delegation of the time, and if possible, if any details of these tanks in say 1971 $$$ terms (Jane's Defence etc...)? ?